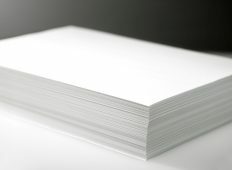 The paper industry uses the products from Cales de Llierca, such lime, in the form of Calcium Oxide, used to regenerate Caustic Soda in the pulp making process. But the main product used in the paper industry is Precipitated Calcium Carbonate. PCC is used as a filler, properties such as porosity which ensures whiteness and opacity levels significantly superior to those obtained with the use of other non-synthetic fillers. Synthesized PCC provides optimum properties to paper process production because it has a chemical origin and it allows to control the physical properties of the particles. The chemical process of elaboration of PCC can optimizes its properties like particle size, shape and distribution. Thanks to its excellent optical properties Calprec PA, the commercial name of Cales de Llierca PCC, is particularly useful in fine papers.